Location: La Jolla. 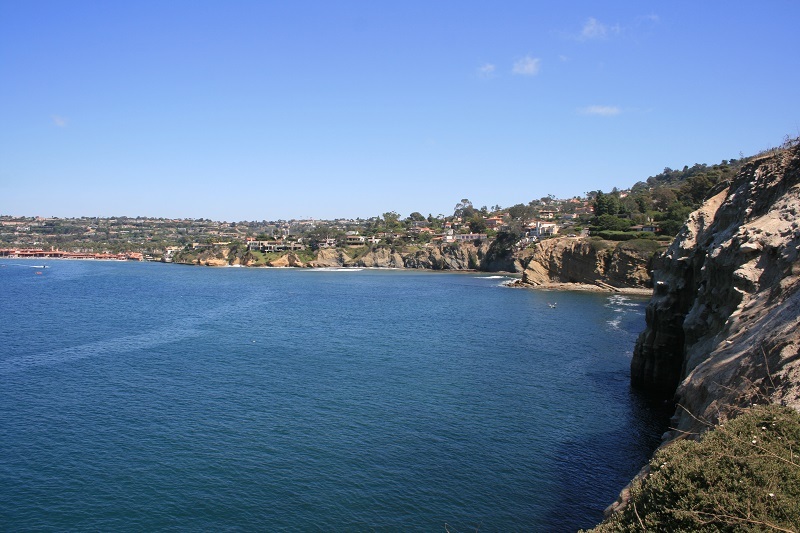 From the north, take the La Jolla Village Drive exit. 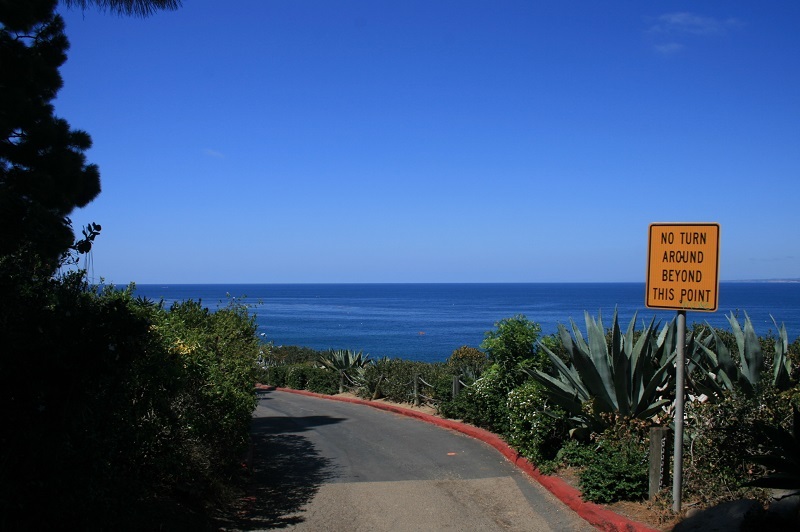 Turn right and follow La Jolla Village Drive 0.7 miles to Torrey Pines Road. Turn left and follow Torrey Pines Road 1.7 miles. Merge right to stay on Torrey Pines Road and follow it another 0.9 miles. Turn right onto Coast Walk, a small cul-de-sac with limited parking. 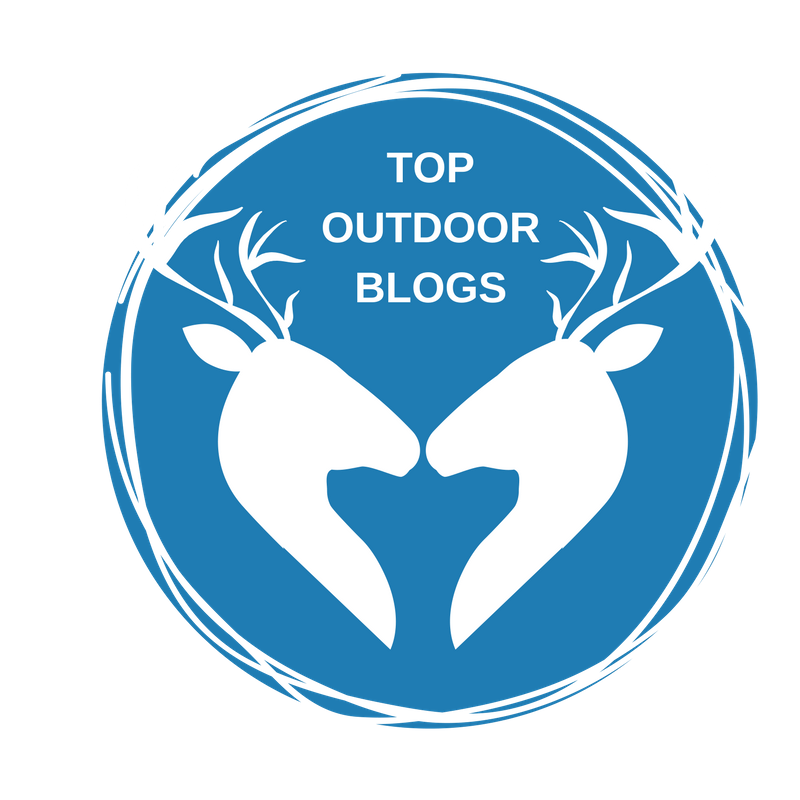 If you are unable to park there, continue along Torrey Pines Road to Prospect St. Turn right and follow Prospect St. to Cave St., where there is additional parking. From downtown San Diego, take the La Jolla Parkway Exit from I-5. 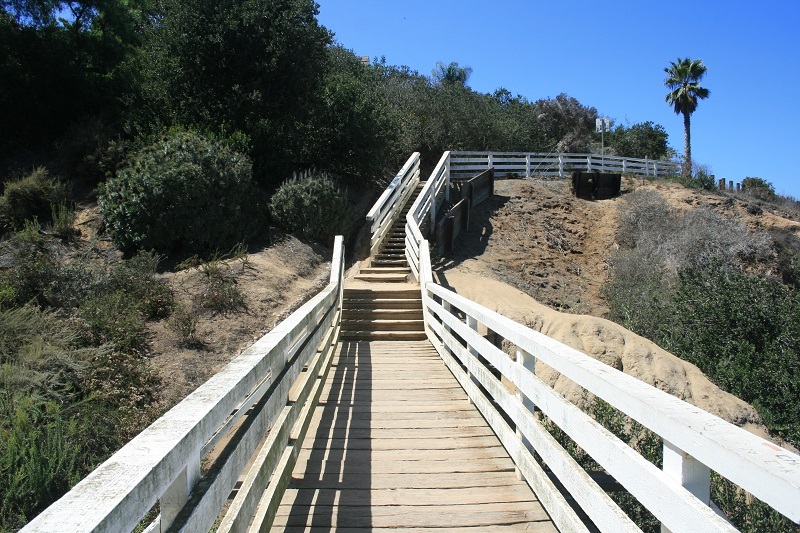 Follow La Jolla Parkway for 1.1 miles, where it merges into Torrey Pines Road and continue 0.9 miles to Coast Walk. If you are unable to find parking there, continue to Prospect St. and Cave St. as described above. 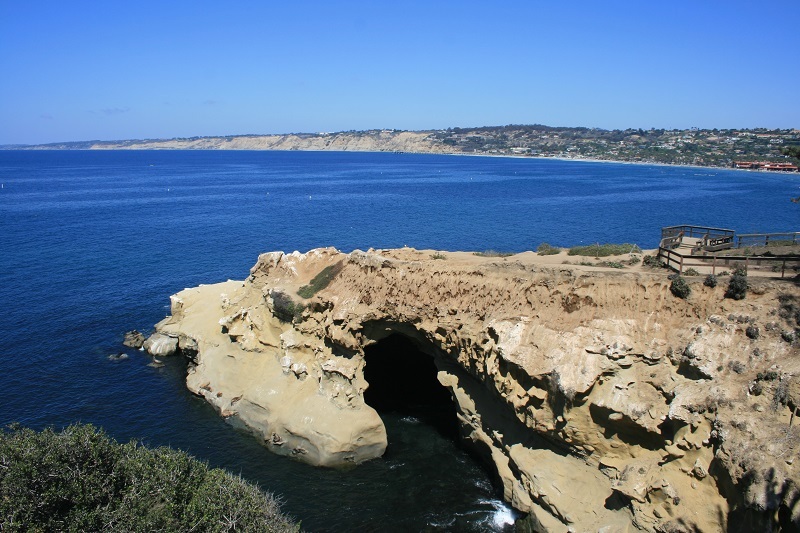 This is one of San Diego’s most scenic short hikes, offering great views not only of La Jolla Cove and La Jolla Bay but also of the area’s characteristic marine geology, notably the sea caves. 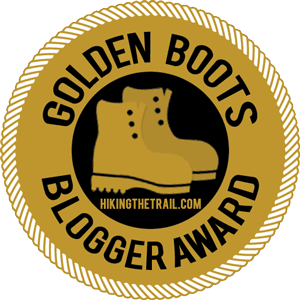 Don’t expect much in the way of solitude; this trail’s location and the eye candy it provides with no physical exertion required make it understandably popular. 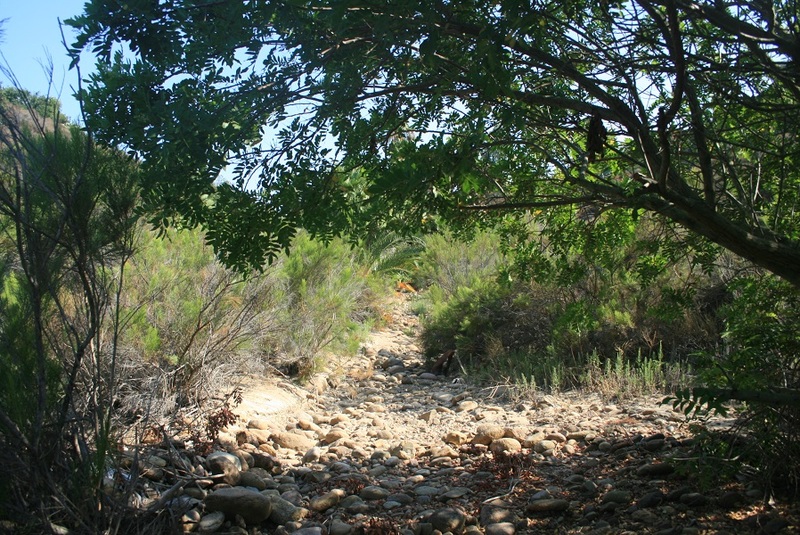 There are several access points: the western end (as described here), the middle and the eastern end. 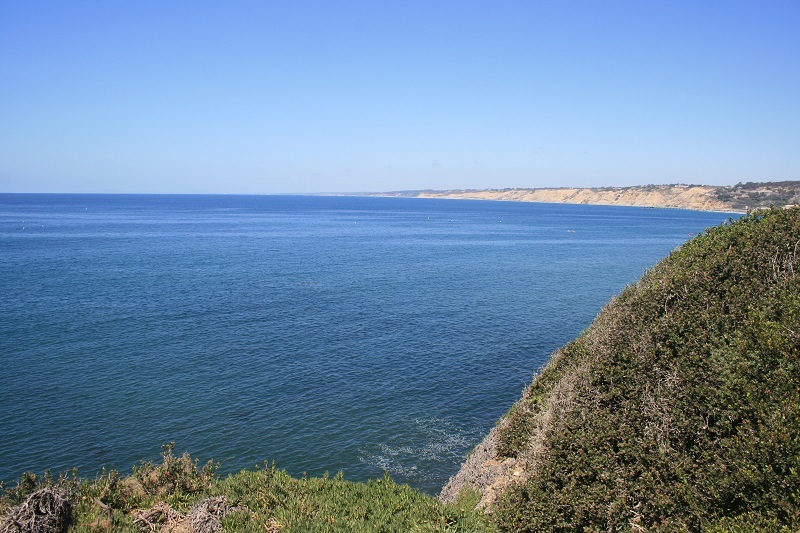 Parking is limited at the western end, on the cul-de-sac called Coast Walk, but assuming you can snag a spot, begin the hike by walking downhill toward a view point, where you’ll pick up the signed Historic Coast Walk Trail. 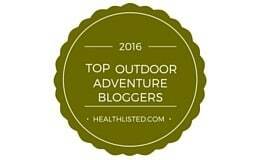 Follow the trail along the bluffs, crossing over a small canyon on an attractive wooden footbridge. 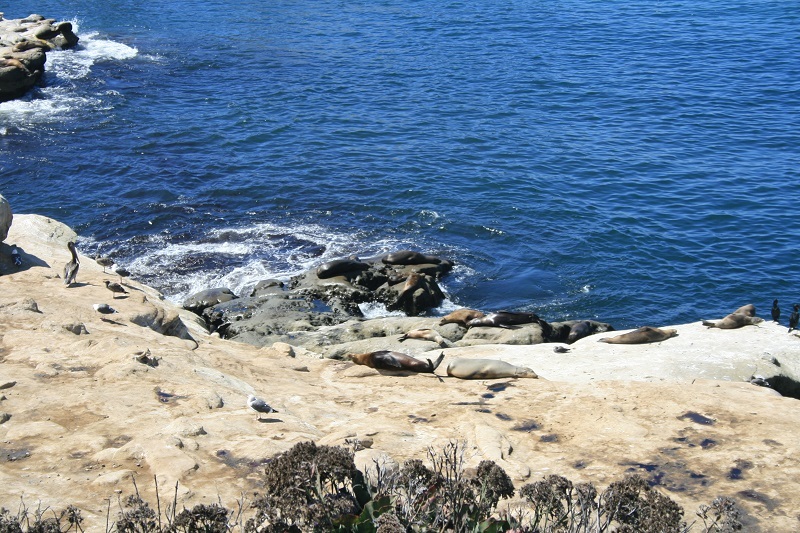 Keep an eye and ear out for sea lions lounging on the rocks below.